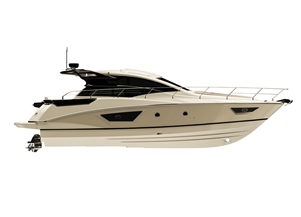 The Gran Turismo 46 is the latest generation of sport cruiser and benefits from Air Step® technology. This is a stylish and harmoniously designed boat with a bold sporty look. She boasts a clever layout and offers lots of opportunity for personalization. LAir Step® 2 marks considerable development in this technology and it is now compatible with IPS engines. By increasing the volume of air inflow under the hull threefold, the boat benefits from higher performance, safety and seakeeping. While reducing fuel consumption, she accelerates faster and gains speed. This latest generation of the patent has already proved its worth offering excellent sea-keeping, simpler passage through the waves, linear acceleration and easily handling of curves. The ‘air cushion’ effect aft of the hull procures amazing comfort. 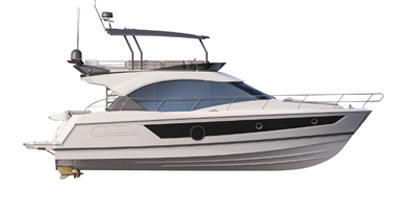 "If you are looking for a sportscruiser loaded with versatility then the Bénéteau Gran Turimso 46 delivers in spades."